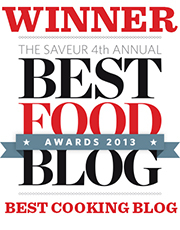 So, we were faced with the question, what kind of fritters do you make? (Fritters, we don't make no stinkin' fritters.) I did not give this answer for the query came from a recent guest who also happens to be quite interested in food. Rather I kindly said we would come back with an answer as soon as possible--I needed to buy some time quickly. When I hung up the phone Aki and I started a discussion, rather a focused banter, on the actual subject fritters, and what they are. Sure, corn fritters, and apple fritters garner the attention of State Fairs and New American dessert menus. 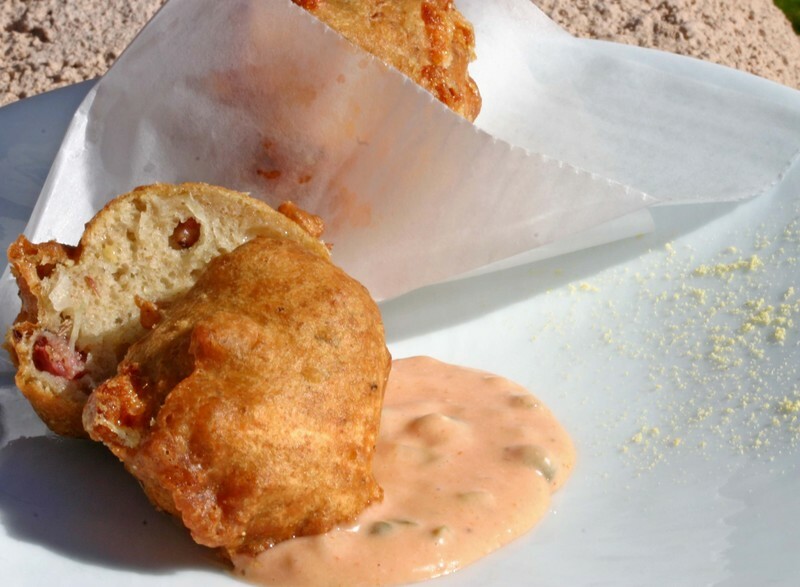 Clam fritters are the belly bombs of the North East and hush puppies, well they're hush puppies. Anyway, I wanted fritters that I wanted to eat. Oh, and fritters should not be difficult or fancy. Leave that to those with large staffs and minions to take care of the grunt work. No, what enlightened me is that a fritter is a great means to use up leftovers and turn them into something fried--always a good thing-- and tasty, really tasty. So, I return to my initial thought and flip my view as any recently schooled individual would. That is right, I can eat crow (just not in a fritter) I now need fritters. Hopefully you will enjoy them as much as we did making, or in my case eating them. As everyone knows Aki does the work, I do the eating. Here is the first of five recipes to help take the edge off fall, winter, the holidays and Mondays. Whisk together flours, baking powder, salt, caraway seeds and mustard powder in a medium sized bowl. In a separate bowl whisk together egg and milk and pour over dry ingredients. Stir to combine completely. Add pastrami, swiss cheese and sauerkraut and blend thoroughly. Add peanut or canola oil to a medium sized pot and fill to a depth of three inches. Heat oil to 370ºF. Add batter to the oil by the tablespoonful and fry between 355ºF and 365ºF turning occasionally until the fritters are a deep golden brown, approximately 4-6 minutes. Remove from pan and drain on paper towels. Serve hot with Russian dressing on the side for dipping.